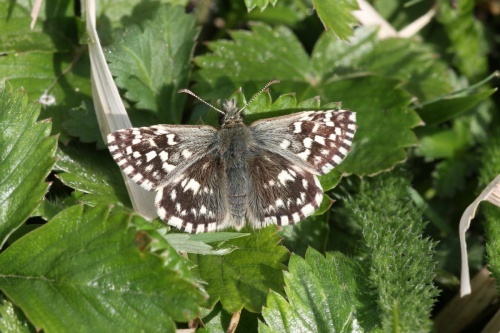 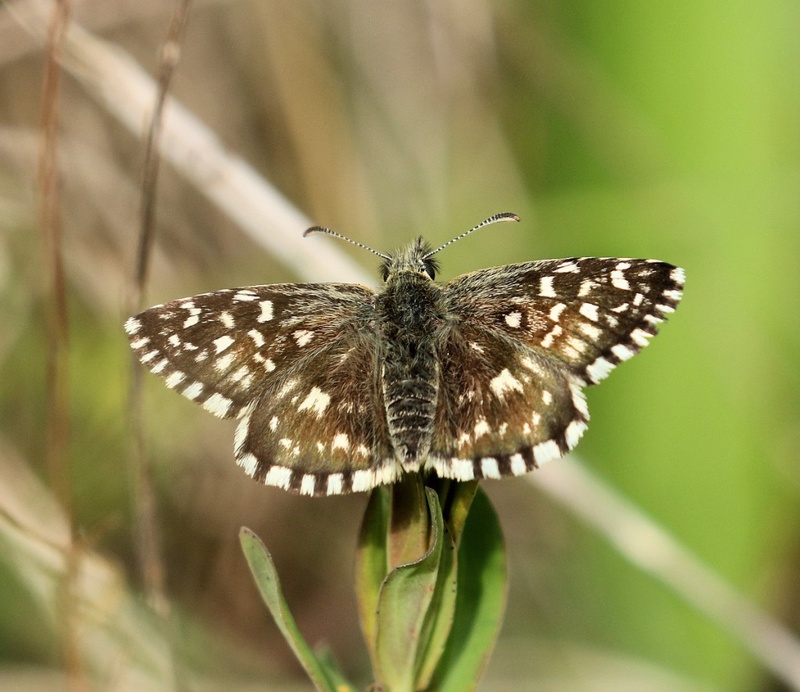 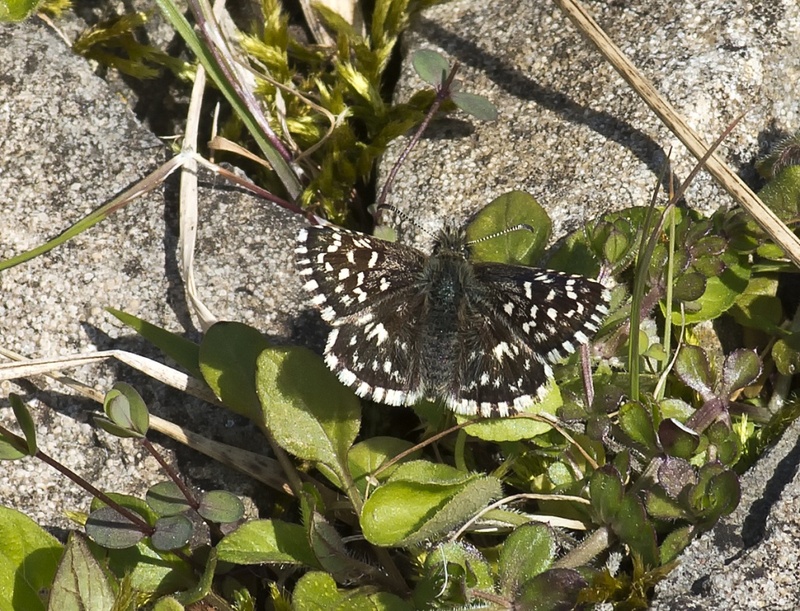 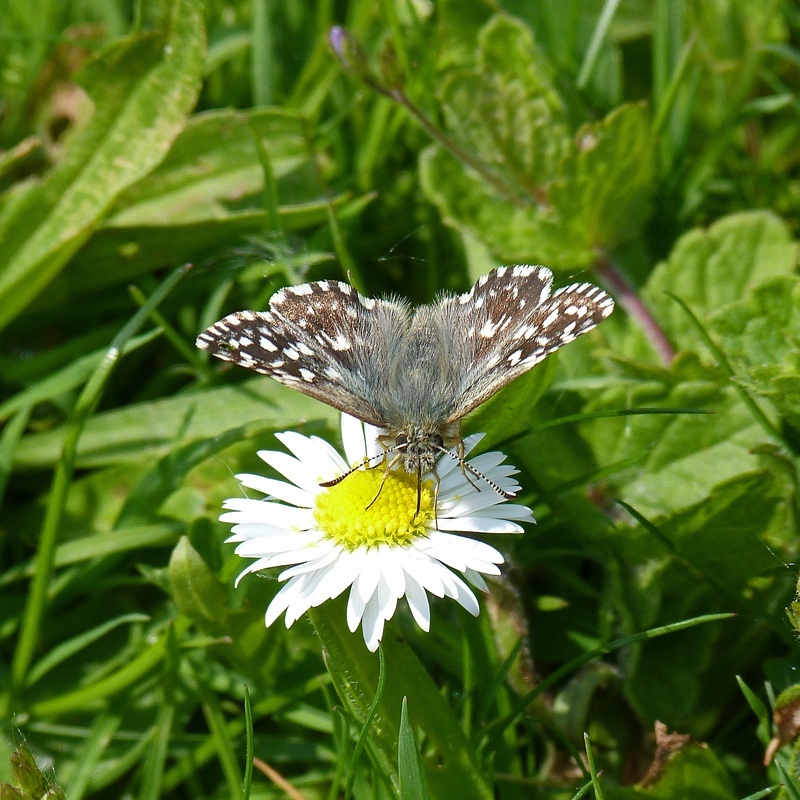 Like most skippers, the Grizzled Skipper is extremely difficult to follow when in flight but will stop to feed from various nectar sources. Once settled the black and white pattern on the wings, from which this species gets its name, is unmistakable. This species occurs in different habitats that are all characterised by warmth, shelter and sparse vegetation such as chalk downland, woodland edges, woodland clearings, large woodland rides, unimproved grassland, hillsides, valleys and occasionally heathland. 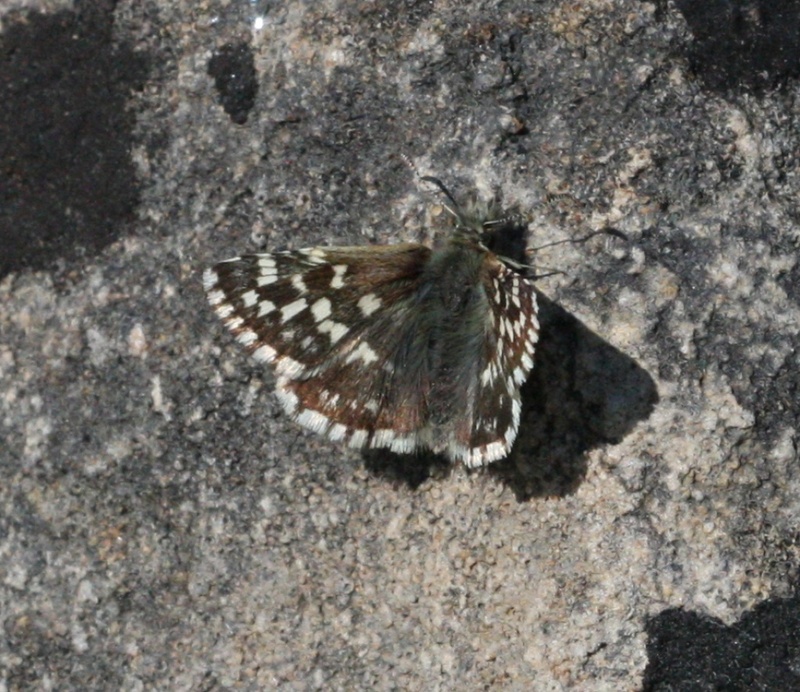 The butterfly emerges in late April and flies until the end of June. There is one generation each year although there may be a small second brood in some years when the weather conditions are favourable. 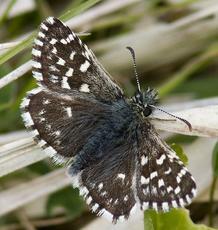 The butterfly occurs in small colonies of less than 100 adults. The main larval foodplants are Agrimony (Agrimonia eupatoria), Creeping Cinquefoil (Potentilla reptans) and Wild Strawberry (Fragaria vesca) but others, such as Bramble, are used. 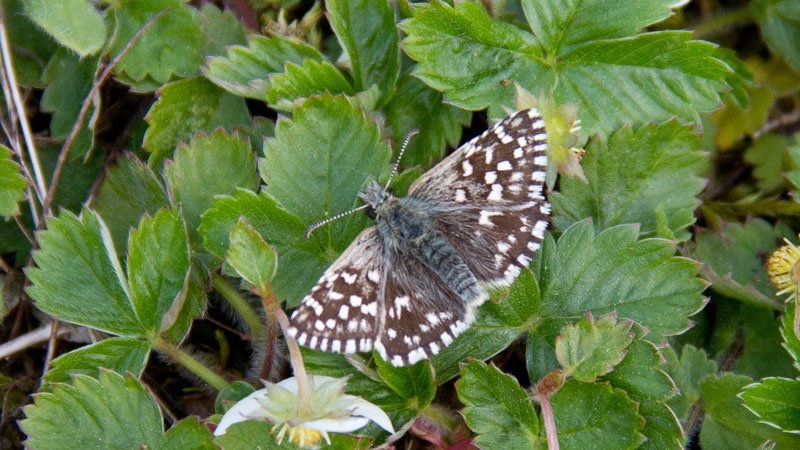 This butterfly is generally distributed across Wales and England, as far north as South Yorkshire, although its strongholds are in central and southern England. 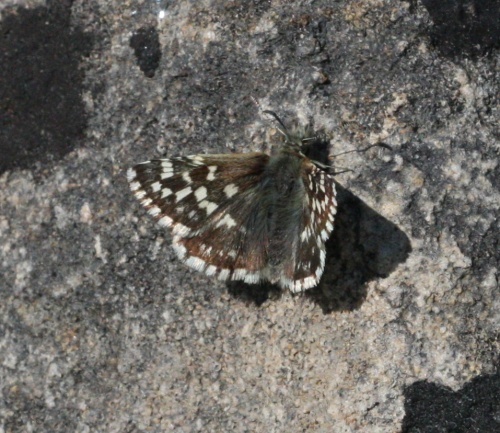 Uncommon in Leicestershire and Rutland and only found in isolated colonies, mainly in disused quarries and railway lines.